Parents who need a Parenting Consultant (PC) or a Parenting Time Expeditor (PTE) struggle reaching agreements and making cooperative decisions about their children. Court orders are often unclearly written causing parents to disagree about how to interpret a court order or parenting protocol; and since it is impossible for a court orders to address all possible issues, parents often lack the necessary direction needed to resolve an unforeseen issue. Even if you wanted to go to court every time an issue came up, it is simply not an option. The courts will not allow it. A PC or a PTE can help in these situations and both roles have court-appointed authority to render legally binding decisions. The most significant benefit of appointing a PC or PTE is parenting dispute resolution outside of the court process. Working with a PC or a PTE requires a court order appointing the provider by name, setting a term of appointment and defining the scope of decision-making authority. Ms. Serwat’s minimum term for either PC or PTE services is 1-year. An important difference between a PC and a PTE is that working with a PC requires the agreement of both parents whereas the Court can require the use of a Parenting Time Expiditor and may appoint a PTE over the objection of a party. Another important difference between a PC and a PTE is scope of authority. A PTE has a narrow scope of authority limited to parenting time and access issues only; whereas a PC, typically has a broad scope of authority including parenting time and all things child-related. By agreement, parties may narrow the PC scope of authority. 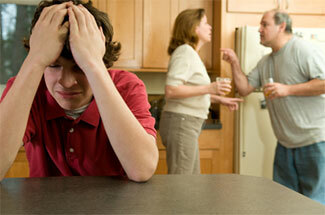 Neither role can modify custody labels or modify child support or spousal maintenance/alimony. A PC or PTE’s role is to facilitate agreement and render decisions that are in the best interests of a child; which is not necessarily the same as what parents may want for their children or believe is best for their children. It is also important to know that there are often multiple ways to serve a child’s best interests and provide for a child’s needs. This means that parents can hold two very different opinions about what is in their child’s best interest, and both opinions may fall on the spectrum of what is in child’s best interest. A child’s best interests as defined by MN law. Ms. Serwat’s PC/PTE process is a combination of facilitation and decision making. Parties are required to make independent efforts to resolve disputes before submitting a dispute for resolution. Once the PC or PTE process is initiated, Ms. Serwat will first try to facilitate an agreement between parents. If a facilitated agreement is not possible, Ms. Serwat will render a legally binding decision. Prior to rendering any PC or PTE decisions, Ms. Serwat will confer with both parties and any other people having pertinent information (such as educators, doctors, therapists, etc.). Whether serving as a PC or a PTE, Ms. Serwat’s ultimate goal, is to work herself out of a job by helping parents learn the co-parenting skills necessary for long-term success. A Parenting Consultant is a court appointed neutral professional with authority to render legally binding decisions to resolve a wide variety of parenting disputes. Common issues addressed by the PC process include: parenting time schedule and/or trades, holiday allocations, vacation requests, special events, parental communication, parent-child communication, extra-curricular activities, decision making about therapy and/or healthcare for children, school placement, discipline, daycare, religious education and more. PCs can interpret, clarify, and oversee compliance with existing Court Orders as well as create protocols when needed and assess whether changes in circumstance warrant modifying prior orders and/or protocols. PCs also have authority to impose consequences for non-compliance. The Parenting Consulting process is intended to be an alternative to litigation and court involvement and using the PC process typically results in quicker resolution of issues and saves money (versus litigation). A Parenting Time Expeditor is a court appointed neutral professional with authority to render legally binding decisions to resolve parenting time disputes. Common issues addressed by the PTE process include: parenting time schedule and/or trades, holiday allocations, vacation time, special events, and off-duty parent phone access to the children. A PTE cannot address parental communication issues, extra-curricular activities, decision making about therapy and/or healthcare for children, school placement, discipline, daycare, religious education etc. PTEs can enforce, interpret, clarify existing parenting time orders as well as resolve parenting time issues which are not addressed by an existing order. The Parenting Time Expiditor process is intended to be an alternative to litigation and court involvement and using the PTE process typically results in quicker resolution of issues and saves money (versus litigation). The MN statute regarding PTE. AMS MEDIATION offers PC and PTE services to the surrounding areas of Minneapolis, Minnesota. Please call 952.252.1492 to learn more about our PC and/or PTE services and/or schedule a free 15-minute phone interview with Ms. Serwat.